The 21st century is well underway, and smartphone apps are perhaps one of the most ubiquitous and advantageous creations of our generation. They bring us the news, the weather, social connections, email, and even a thousand different ways to take a picture. In recent years, companies have been adding new and unique ways for divorced parents to communicate, thus giving attorneys and divorce courts far better options for managing the constant flow of competing interests and potentially volatile correspondences. Here are just 5 of the most amazing apps divorced or divorcing couples should examine. One of the biggest challenges in any divorce is getting parents to communicate openly. This app claims to help with that. Can’t seem to get your ex to pay child support on time? Are you always receiving partial payments or bad checks? Maybe you need an app for that. Maximus is a child support payment portal that is seamlessly tracks payments and allows the payor to make a quick, convenient online payment without the hassle of checks or going through the courts. The recipient even gets realtime access to payment support services through the app. Interestingly, the app also has a trademarked feature called ToneMeter.™ This is designed to detect emotionally charged language in written messages. The software claims to catch certain aggressive, hostile, or upsetting terms, so that users can rethink how they want to communicate. Now, you may not think of a vehicle plugin as a parenting and divorce app, but if you are raising teenagers who drive, co-parenting can be stronger with Hum (or similar apps available from other cell phone companies). The Hum and its progeny allow parents to track driving habits and even track where a teenager takes the vehicle. Good co-parenting requires a united front, always working together to ensure teens know that parents may be divorced, but they still unite to make sure the teen is making good choices. Not everyone wants to spend over $100 a year for an app. With this in mind, those who just want a clever shared calendar with messaging options ought to check out the free app, Famcal. It’s available on iTunes and lets you share events, send messages, and even perform some fairly complex tasks for a free app. And since it’s available on iOS, it works well with synching photos. Parents can take and share photos, thus helping to keep those precious memories for all. Not all attorneys are the same. Divorce and co-parenting do not have to be stressful and painful. 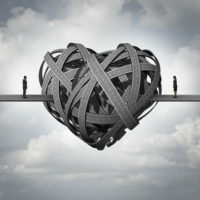 With the help of technology, many couples are able to maintain strong and healthy relationships, while minimizing disputes and conflicts. Before agreeing to use any third-party technology, be sure to discuss it with your own attorney. For more help, call the Law Offices of Todd K. Mohink, P.A. today.